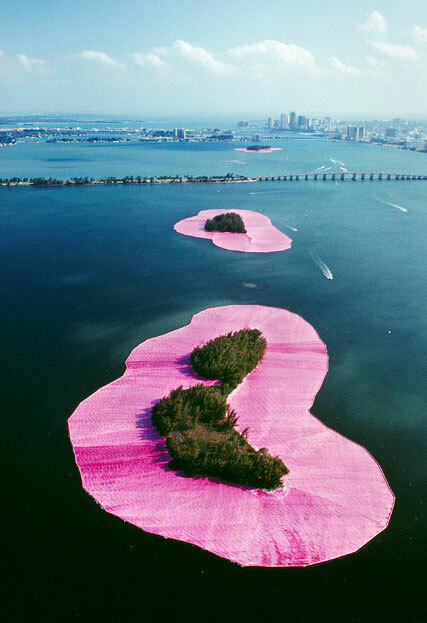 Way back in 1983 (when I was just a toddler of course), the excitement was palpable in the summery Florida air when the wildly creative conceptual artist, Christo, unveiled his and wife Jeanne-Claude’s now-iconic “Surrounded Islands.” Eleven small oases skirted in glistening pink polypropylene along Miami’s Biscayne Bay, they gave the impression of a “trail of giant flowers on the water’s surface,” as the New York Times then described it, and the event put the city, just beginning its own flowering into a cultural mecca, very much in the arts spotlight. 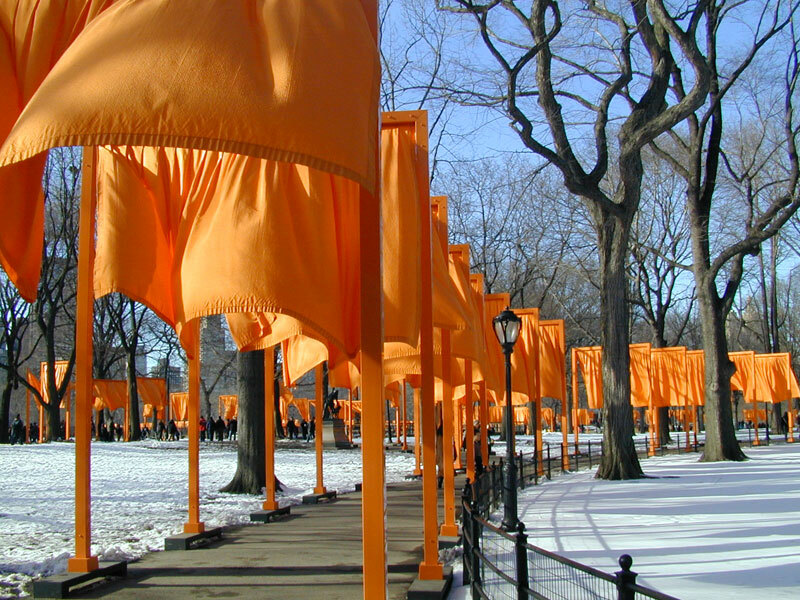 I remember venturing out with my dad in our tiny speedboat to see the “installations” up close, feeling it was all a bit of history, which it was. But the spectacle wasn’t designed to be viewed at eye level; the scope of the project could only be appreciated, of course, from the sky. 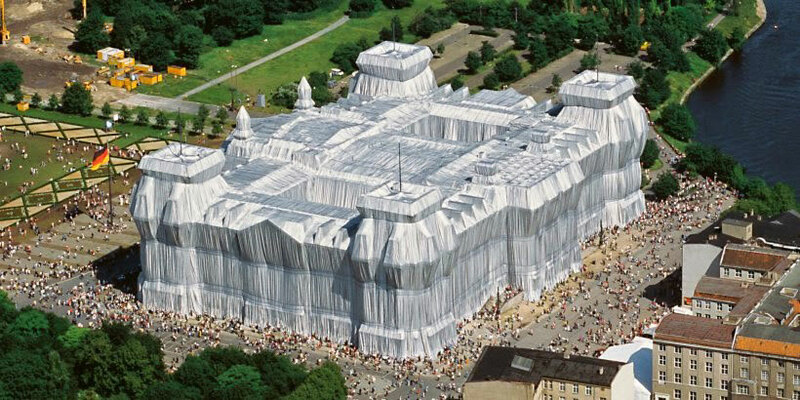 And there was so much more to follow from Christo in the coming years, including the “Wrapped Reichstag,” Berlin’s parliament building enveloped in aluminum and described at the time (1995) as a “symbol of the new Germany”; as well as “The Gates” in New York City (all 7,500 of them) along the walkways of Central Park, which four years after 9/11 “reminded the world that our city’s artistic spirit was alive and well,” in the words of then-Mayor Michael Bloomberg. Fast forward now to 2016, and this weekend specifically, when the legendary artist, now 81, debuts his latest adventure — again aquatically themed — “The Floating Piers” in the northern lake region of Italy. This time (sans collaborator Jeanne-Claude, who passed away in 2009), he picked the tranquil waters of Lake Iseo for his 23rd large-scale installation. 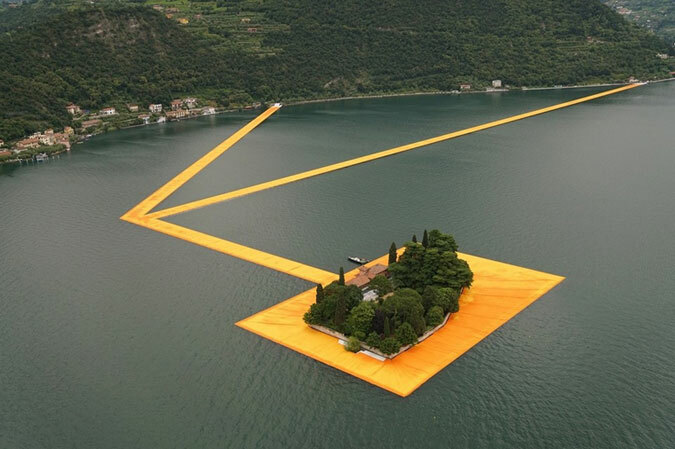 It will connect the town of Sulzano to the small island of Monte Isola via a two-mile oscillating runway, created with nearly a quarter of a million floating cubes covered in sunshine yellow fabric, whose hue will adjust depending on the time of day.